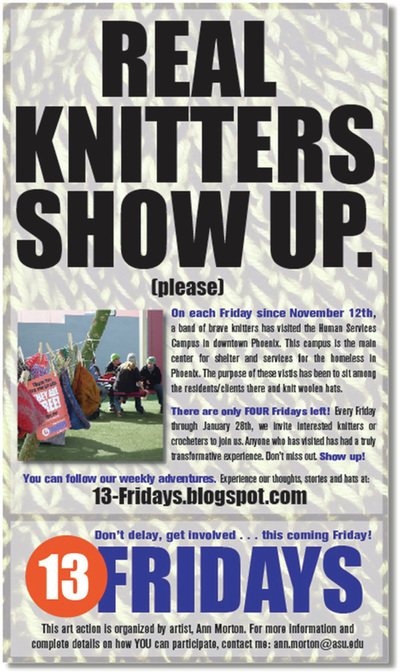 13 Fridays was a social action that took place throughout the months of November, December and January. 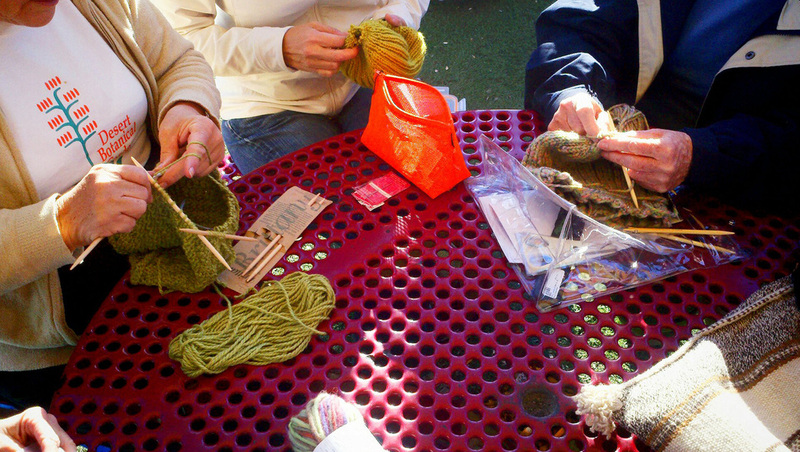 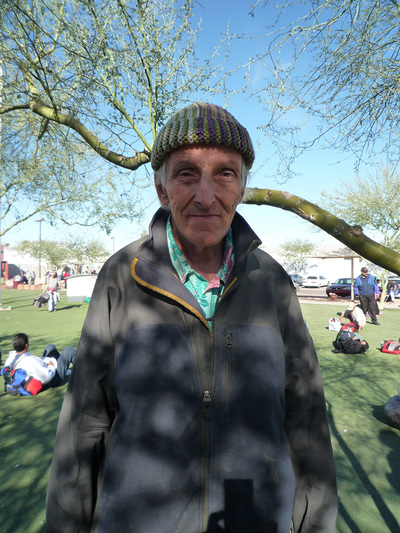 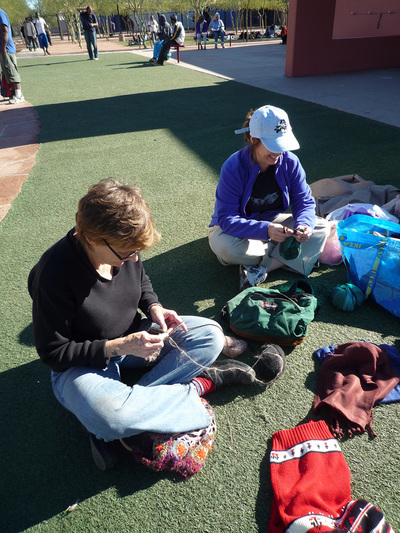 Myself and 21 brave knitters visited the Human Services Campus in downtown Phoenix, the largest facility providing shelter and services for people experiencing homelessness in Phoenix, Arizona . 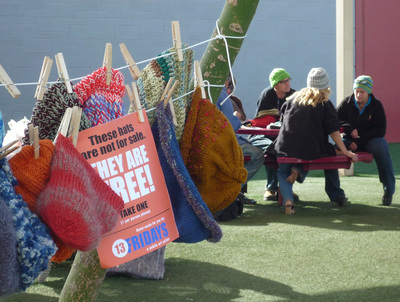 The purpose was to create a mash-up during which knitters would sit among the residents/clients on the campus and knit woolen hats. 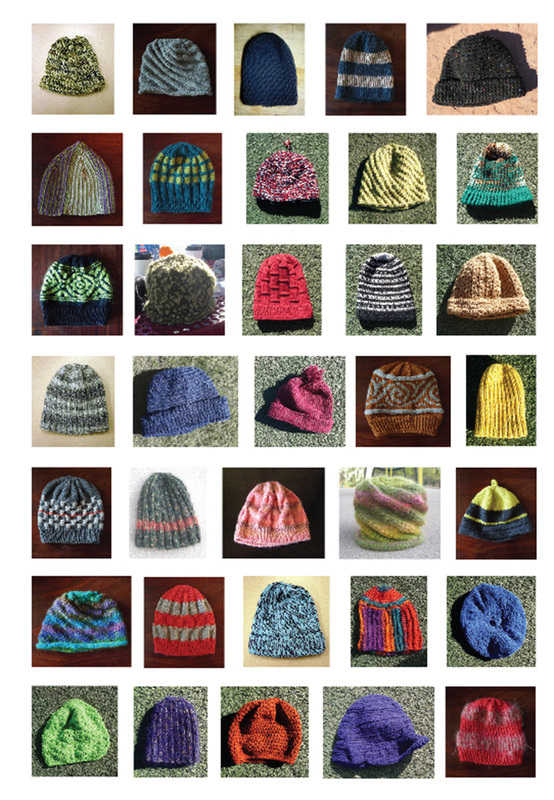 These hats, upon completion, were offered to whomever might need one. Throughout 13 consecutive Fridays, 22 knitters, made 142 woolen hats and gave them away during the coldest months of the year.